Don’t pin your hopes on this rabbit. A few months ago, Gaia-no Yoake, the TV Tokyo network’s weekly show of feel-good business turnaround stories, dedicated an hour to the HIS acquisition of Huis Ten Bosch. The programme highlighted how HIS had, at that point at least, managed to arrest the decline in visitor numbers through a number of measures including tarting up the food court (?) area and leasing the stalls to purveyors of local Nagasaki delicacies. The programme was at pains to stress, however, that it was a small drop in a vast ocean. Thanks for that. I will, at the very end, get to the H.I.S. achievements and plans, briefly. All I would say for now is that it’s been less than a year and that Nomura also managed to stem the decline, with visitor numbers rising from 1.92mn in 2005 to 2.14mn in 2006 and 2.19mn in 2007. Time will tell. Again very interesting. It makes me want to visit this place. Hopefully it won’t go down before I have seen it. It is easy to be cynical, but I feel that this is one of the best things that came from the extreme “can do” spirit of the bubble years. It certainly beats other black holes such as the Seikan Tonneru. I only have to correct you on the real Friesland. That is a very lively province with great sailing, beautiful old towns, charming little islands and thriving tourism. Well, the Seikan Tunnel is certainly a “black hole”, I wouldn’t disagree, and cost roughly three times what Huis ten Bosch did to build. Undoubtedly a white elephant but not a Bubble project, as construction began in 1971 and the two teams of borers met under the Tsugaru Straits in 1983. Personally, I’d rather on balance the lands on which Huis ten Bosch lies had been left undisturbed as the reclaimed paddy fields they were before World War II. I love Huis ten Bosch for its Bubble symbolism but don’t think it has much to teach anyone—except certain cautionary tales about how to draw up a realistic business plan and how not to get carried away by self-glorifying nationalism. That’s not to say I don’t sympathize with Kamichika, because I do. I knew someone would call me on Friesland. By “nothing much going on”, I only meant in comparison to Amsterdam and the rest of the urban Netherlands. Just a tongue-in-cheek passing comment. I’m sure it’s a lovely place. You mean it still has ANY visitors? It seems to dreamily presage the demented theme-driven excess of Dubai. It also made me think of VW suing Chinese car manufacturer Chery for blatantly half-inching the design of the Jetta – if you now look at Chery’s output they’ve come way from straight plagiarism, and that could still be the outcome for Huis ten Bosch. Um…except for the economic and philosophical brick wall that stands in the way of any meaningful urban evolution here. Agreed, it’s like Dubai with windmills! Albeit a much more tasteful and attractive theme park than most of what Dubai offers. The debt numbers here are horrific, just horrific. 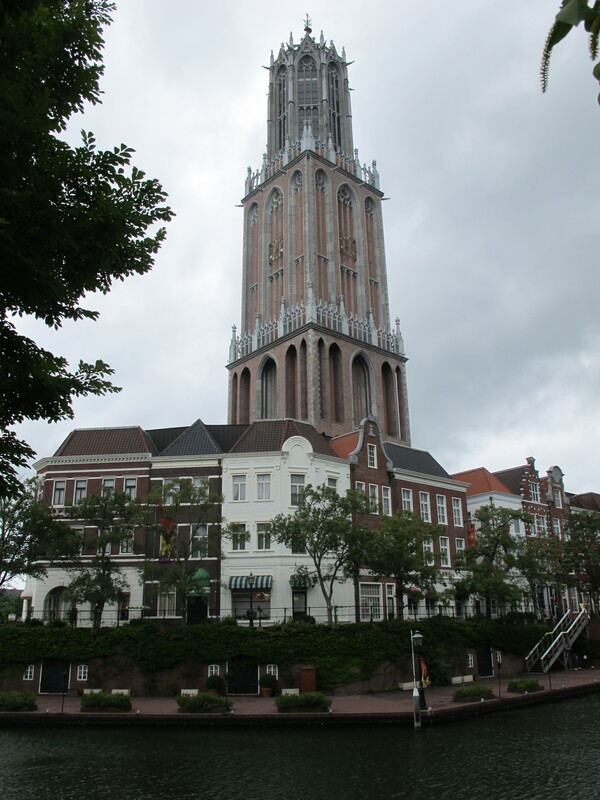 But I think that Huis ten Bosch could actually have a decent future! It might have been passed over by Japanese tourists who can easy get an affordable 5 or 6 day package deal to the real Netherlands. But I think it could do well as a package holiday to the millions of Chinese visitors who can get visas for Japan but not the Netherlands. There is a huge market only 2.5 hours flight from Nagasaki. With a different marketing focus, I think Huis ten Bosch could thrive. Recovering development costs, of course, is a different question. As for the Chinese, well I’m not so confident. But you’ll have to wait until the very end of Part Three to find out why. Amazing. I was at the Stedelijk (Contemporary Arts) Museum in Amsterdam a while ago, where they had a film running made by some artist with images of the Japanese version compared to the existing Dutch version of many of the buildings. But I never really got the full story behind this. Looking forward to the next piece. Even when this park will continue to decline, they’ll probably never demolish it. And even when it only exist as a ruin that is slowly falling apart, it’s existence will continue being awesome (I may be a bit biased here, being a Dutch person and all). I’d be very interested to know whether the “average” Dutch person has any idea these days that Nagasaki’s Huis ten Bosch exists. Any idea? I couldn’t agree more (even though I regret its having been built in the first place). I had heard of it before, but never knew it was that huge. I’m quite sure most Dutch people don’t know of it. 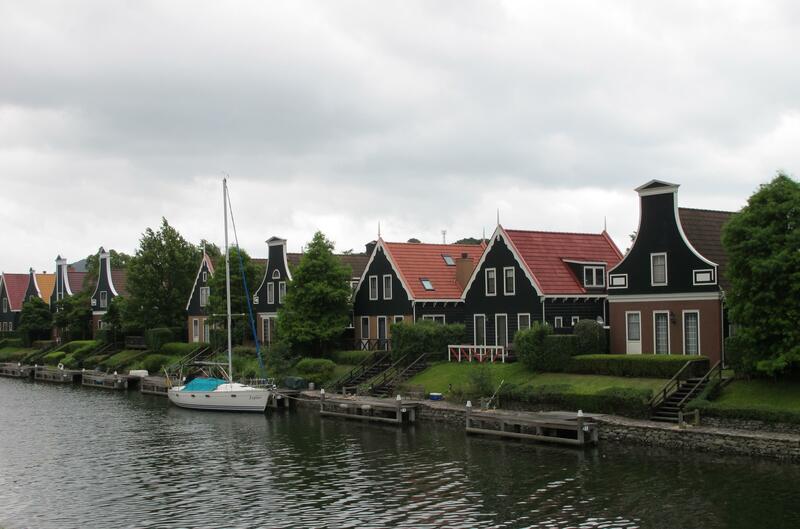 To the best of my knowledge, the average Dutch person has never heard of the place, but when they are informed of it, are immensely gratified, and possibly just a wee bit smug (superior Dutch culture/engineering and all that stuff). Also they are kind of surprised that even adult women are into Miffy here, but rapidly get used to the idea. In other words, they are pragmatists. 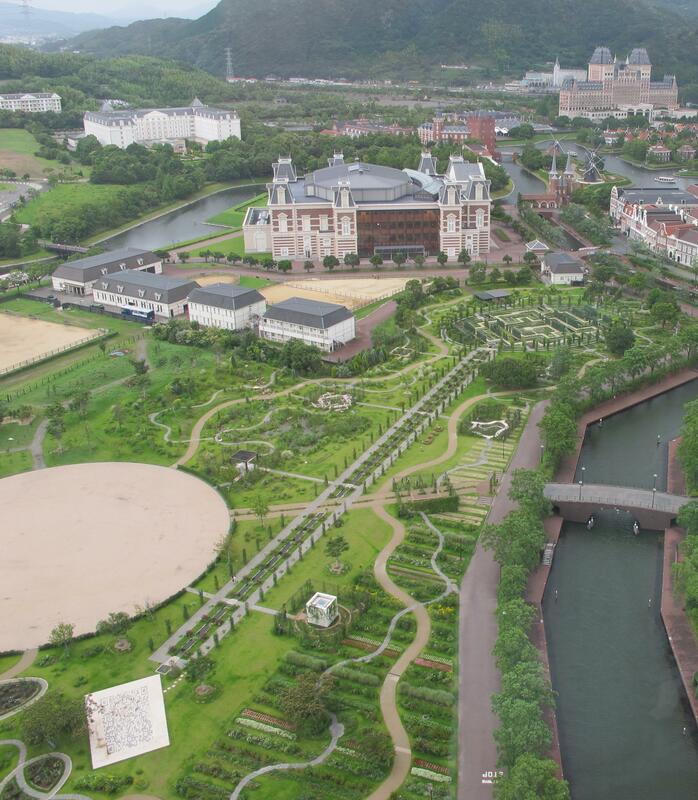 Haus Ten Bosch is certainly not dead yet. They sponsor hour-long tabearuki tours on local television, crowded express trains go there from Hakata several times a day, and so forth. Financially it may be doomed, but in the short term it is running healthily. It’s definitely a little-known attraction outside of Western Kyushu though. I hang out in the Miffy shop sometimes. It’s the only store in HTB that is almost always crowded. Miffy can save HtB! I have faith! But what else is there to do than having a large garden and being green? One has to think that Dubai is the next Japan in that regard – the new indoor ski area and those ridiculous islands that, if the predictions hold true for global warming and rising sea levels, will have to move the lobbies into the second floor in a couple of decades. I live on one of those “ridiculous islands” in Japan (a man-made island with a current population of about 15,000, constructed from reclaimed land over two decades with a minimum of fuss and the best of intentions) and apparently it’s sinking at a rate of several centimetres a year. Friends even make fun of me for this fact! I’m not too worried about it though, as by the time it finally sinks I won’t be around anyway. Too bad the public spaces are so oddbally and difficult to repurpose towards an actual economic use (like commercial real estate or something). Though this would make a pretty good WW2 reenactment location, Krauts vs. Tommies, Winter 1945. Absolutely, on all counts. Why, you can get at least two HtBs for one USS Zumwalt. And HtB would make a fantastic WWII reenactment location – if it were ever to fail forever, perhaps we could suggest to WWII battle reenactment societies around the world that for a small fee they could use HtB as a proving ground. HTB has put itself in the black for the first time in in 19 years. The agressive leadership since HIS took over management has brought a lot of new hope to the park. The admission fee to enter the park has been reduced giving more an incentive for people to visit the park. There is more optimism in the air on site that then seen by the writing here. I may be a little predjudiced as I admit I work for the contractors who are rebuilding an area between the Hotel Europe and Hotel Den Haag into the English Square. 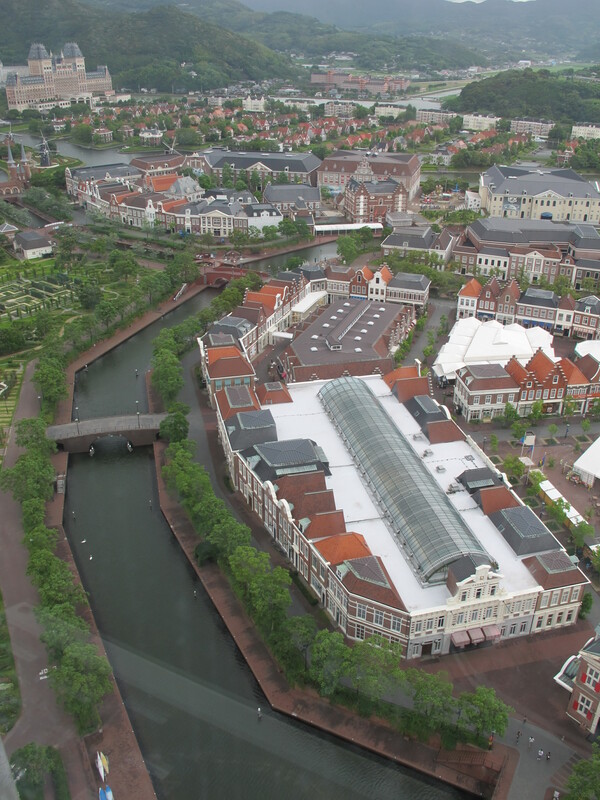 The English Square at Huis ten Bosch is a one of a kind area where visitors can learn, conduct business, shop and dine all in the medium of English spoken by the shop employees. Schools bring 200 students for Street English Edutaiment where they can practice speaking on familiar topics with native English speakers on a 5 to 1 ratio student/teacher. Its not just Japanese school students. Resort English for families, seniors. Not just Japanese. This area is becoming extremely popular with tourists from China and Korea who also wish to exercise their English schools. HTB is conveniently placed directly next door to the US Navy housing area called Hario Housing which has about 1500 military families within walking distance to the park. Last year the west gate behind Hotel Europe became part of the free-zone so their is no admission to this part of the park. The grand opening of the English Square is March 19. I gave up 20 years of English teaching in Japan to work this project. I hope to see you there. Knowledge is power and I can personally tell you a lot of great things are going on there now. Whoa, steady on tiger! Reserve judgment until you read the parting words of part three. Part one only takes you to April 2010. Please don’t chase Kevin away, I for one am very interested in what he has to say and right now he’s the closest thing I’ve got to an actual inside source (unless my hotel masseuse counts, and I don’t think she does). Onegai. Pretty please. For you, Miko, I would do anything. April 2010 was definatly a milestone. Point well taken. In April no one knew the numbers would look so good. We have our daily ups and downs. For example today I learned that the party that was going to reopen the 70 tsubo restaurant isnt going to be able to come to English Square due to lack of funding from his business partners. So first thing Monday morning Im going to be hot on the trail for a tenant. We will never give up. Personally, my job depends on it. Well, good luck. I know regular poster and avid HtB fan Miko would very much like to hear regular updates from you. So would I. Go for it, Kevin! My fingers and toes are crossed for you! Recently one of my mature students excitedly showed me a newspaper article about English Square, and asked me if I would consider paying a visit there together with her and her friends after it opens (I have a lot of wealthy baby-boomer students who are very keen to improve their English for their frequent overseas shopping trips). I still don’t quite understand the concept of the place, so I think that I shall have to visit the place for myself to see what it is all about, before I recommend it to any of my students. I’ll probably at the end of March. By the way, for some strange reason, most Honshu people (mainlanders) regard going to Kyushu as more cumbersome and expensive than travelling overseas. In some respects I think they are right. I honestly think that the location of HTB – beautiful though it is – has been a severe handicap from the start, and as I get older, I find the trip from my city (involving a mere 10-minute train ride, a 90-minute flight and a further 90-minute bus ride) to be more and more tiresome all the time, especially as the hotel check-in times are quite strict in Japan. Many of my students point out that they could easily visit a foreign country for far less hassle and cost. In other words, Japanese people are basically quite kechi, aren’t they? Heh, me and my friends have long joked that Tokyo needed a true gaijin ghetto, where all the staff was actually imported from the US. In n Out, Chipotle — all the major shopping brands that haven’t made it over yet. People would get real-life practice in English like this English Square thing. Extending it to actual ad-hoc teaching space sounds like a good idea, too, we didn’t think of that. When I was starting up my own school in Tokyo getting the capital together to get the “soho” thing going was a bit rough. Had to throw in the towel since the rent was killing me. . .
Great article, as always. As for your comment regarding “the set of The Truman Show,” that’s actually also a real place: Seaside, Florida on the northern coast of the Gulf of Mexico. It’s basically a small housing development, mostly built in the 80’s and 90’s, with plenty of rivals along the coast. The houses are usually individually owned, but rented out most of the time to tourists. Unfortunately, between the collapse of the US housing market, the economy, and last year’s massive oil spill, property owners in the so-called ‘redneck riviera’ aren’t doing so well. If you ever happen to find yourself in that part of Florida, it’s worth a visit as you escape from that hellhole of a state. Wow, I see H.I.S. are planning on reopening Hotel Den Haag in July. I know one person who’ll be delighted! We will have global campus so that unis from English speaking countries can have booths to recruit their foreign students. Good luck, Kevin, with the English Square. Despite it’s White Elephant label, HTB is really a cool place and I would be sad to see it totally abandoned. BTW, does anyone know how those giant hotels stay afloat? I can’t imagine they ever have more than a floor occupied at a time. Many thanks for that, it’s always interesting to hear of other people’s experiences of HtB, as I fondly call it. Many thanks for the kind words. It’s always fascinating to me to hear from people who experienced HtB in different eras. (Although I need to update the now dud video link). I lived in Sasebo for over a decade, and, while all the doom in this post is without doubt true, have many fond memories of the “old” HTB. Mr and Mrs Kamichika were the 仲人　nakoudo “go-between” for my wedding, and in preparation for the ceremony I have spent quite a few private hours with Mr Kamichika. On a personal level a very quiet and modest gentleman, but indeed also with a stubborn and charismatic streak. I remember how he passionately told me about what he really wanted HTB to be(come): a place where Japanese people could live in harmony with their surroundings, with nature – which indeed is very beautiful in that part of Kyushu. My in-laws also owned one of those Wassenaar villas, and sometimes we would have parties there. In the summer time inevitably resulting in me in various degrees of undressed-ness jumping into the canal for a refreshing swim. Good memories! That is fascinating, thank you. Can I ask how you stumbled over my account? @ pachiguy: through reddit/japan, where your recent post on TEPCO was featured. Then went on to read about your quest for a minka (which is something I have been dreaming about myself for a long time! ), and then saw, by sheer accidence, your HTB series. @ Miko: the house is gone, unfortunately. Yes, in the early days occupancy rate was very low, as those villas were way too expensive, but HTB was not willing to lower the prices. This situation went on for many years, but after the Chapter 11 they finally started quoting more reasonably, and I think nowadays 70-80% is sold? A few years ago I struck up a conversation with a really nice lady who owned or ran a boutique in Passage (the small shopping mall in Binnenstad) and she must’ve taken a shine to me, because she invited me to stay at her home in Wassenaar and meet her cat and grandchild. Unfortunately I was too shy to take her up on her offer. Now I’m kicking myself! haha, Miko, you didn’t miss that much. Inside they were just, how to put it, high-quality western style houses. As I wrote, I was there two weeks ago again, took some pics. My canoe is still there! And the cherry and willow I planted have grown so much! That’s nice, Biggie! Are you staying around the park, or in the city proper? I’m off to HTB next week for three days, and I am so happy I am bouncing off the walls! I’ve managed to get a really good room for once (usually they are snapped up by the richies from Tokyo/Shanghai/Seoul, but this particular Golden Week is an exception, for obvious reasons). Right now the rose festival is going on, and I am going to try some rose tea, rose ice cream, rose bath salts, and even rose wine if they have it! I just love flowers, and there is no shortage of them in the park. This is really exciting! It’s like the lead-up to Christmas, back when I was a kid. I have been packing and unpacking my little suitcase, and keeping an anxious eye on the weather reports. Anyway, have fun! good on you, Miko! My old house is in Sasebo city, and I don’t think I will be going to HTB this time. If you like flowers, I strongly recommend you visit 藤山神社, a truly lovely place when the wisteria is in full bloom. I would be pleased to take you there on Sunday or Monday. I’ll be there Tuesday through Thursday, so it looks like a no-go this time. Whereabouts is the wisteria park located? I like Sasebo City – spent 10 *snowy* days there at the end of 2010 – but I’m still not sure what to make of it all. I’d be thrilled to have a personal guide! Was given a link to this post – and was glad that I was. Very interesting… and very disturbing. One of Japan’s many Achilles heels…. the monumental theme park. Well done. I guess it was kind of going the way of a white elephant, or maybe a pink one. It looked like we got a good start with the base educational program but then money and common went flying out the window faster than income was coming in. Opened up 105 tsubos on the first floorr calling it Tomodachi factory which surprise needs to be staffed 10 hours a day 7 days a week despite the fact you can go 3 hours and not have one human being walk in. Staff was hired on that wasnt intererested in collaberrating with the original management on anything. Cliques were formed and I couldnt do my job anymore unless I could produce something valuable completely solo. It quickly become a huge waste of my skills and experience. I was the person who was to use my two decades of Japan teaching experience and my contacts in Fukuoka to get some activity in there. It didnt pan out that way. Now they have to rely on interns on 3 month tours from the US and a local saliors wife with a whopping full year teaching Eikaiwa in Sasebo. I left. Not on bad terms as the shatchou was always pleasant to me. I told him I was done and couldnt be of help to him under the current structure. I was Buchou Project Tantou. Maybe it was just me and I am too much of an arse to make it anywhere. Sorry to hear that it didn’t work out for you, Kevin, and best of luck in whatever comes your way next. Strangely, though, H.I.S. revised up its earnings forecasts yesterday, so something must be going right for them. In their September 9 results filing (for January through July), they say that they’ve beefed up bus services in “original wrapping” (love to see what that looks like) from Tokyo to HtB, that the “One Piece” boat tours and the “5D Miracle Tour” have been doing well, that visitor numbers have been rising, and that HtB turned a profit. Miko, have you been back recently? I was there over Golden Week for exactly three days, I stayed in the Hotel Amsterdam in one of their Laura Ashley rooms (far nicer than it sounds, and they gave me a whole bunch of dreamy L’Occitane goods for good measure). I don’t know if you know this, but the park has been divided into two zones since the HIS takeover: paying, and non-paying. From what I could see, the free zone was extremely busy over GW, to the point that I had trouble making my way through the huge crowds of young families and One Piece fans (something I never thought I’d see there!) but the members-only zone was far less lively. A few much-needed changes have taken place around the park, such as a couple of convenience stores opening up (yay!) and the presence of a few strategically placed vending machines (boo! ), but it’s really hard for me to make out which direction the park in going in. As a member paying 15000 yen for a three year pass, I feel a bit ripped off. And it’s definitely more family oriented these days … I’m not sure I like that, all those kids running amok. I’m still going back for Christmas, though. For me, Christmas isn’t Christmas without Miffy! All right Kevs, this year’s been a rotten year for an awful lot of people and companies (particularly tourism) in Japan. You just get back on the saddle. Yes, but everybody gets hungry. I work for Watami Tezukuri and food seems like a safe bet. Also back in the saddle of オレーリー外語　as an English teacher/sales manager. First off, great article, occasionally cynical and very informative. Next, I am one of the “interns on a 3 month tour” mentioned in Kevin’s post. I have been here since July, when the Watermark Hotel and Tomodachi factory opened. As an outsider, I took to the opportunity to live and work in a foreign country with a lot of care, so I payed special attention to people who had been here and done this. Of course Kevin caught my eye right away. There was never a chance to forget that he had been in the education business for 20 years, as he seemed compelled to remind everyone around him on a daily basis of his work background. The more I observed the strange division between him and the rest of the staff it became more and more clear that he was not well suited for his position. When he finally unveiled the massive undertaking that he had put several months of mind-breaking labor into, this realization became undeniable. Not only could we not rely on his 20 years of experience, but the task of delivering 3 days worth of education programming fell on the collective shoulders of myself and other staff members. Needless to say, what little respect the rest of us had for Kevin dwindled to nil after that and his life there was basically regulated to making coffee and trying to pull in customers off the streets. Watching this transformation was difficult and by the time Kevin decided to quit it felt as if we were putting a dying pet out of its misery. Without him we have actually been allowed to prosper. For the first time we could all work together as a relatively cohesive unit to improve on our weakest areas and project our strengths to our target audiences. Several schools a month send entire portions of their student body to experience our programs, all of which can be overhauled to meet a school’s needs. Huis Ten Bosch was amazing busy over the Christmas and New Year season and English Square shone brightly and many guests of the park took the opportunity to practice some foreign language ability. I enjoy working and living here and obtained a student visa to study Japanese at a local junior college so I could stay longer. This year will be very busy for everyone in the park, everyone wants to live up to the positive numbers put up last year. Miko, if you come back for Golden Week this year come stop by English Square! Its awesome that you are so passionate about Huis Ten Bosch! Very heartening to read your post, Zack. You are a talented writer! Do you blog? If you don’t, you should. Anyway, congratulations on getting into the language program. I’ll probably visit HTB next at the end of March, for the tulips. It’s always crowded then, but not as much as Golden Week. I am hoping to stay at the Watermark for the first time, if I can get a room, and put their much-vaunted “English language only” policy to the test. Quite a lot of my adult students have expressed interest in the idea. You would be amazed at the number of baby-boomers in Japan – rich in time and money, and very keen on overseas jaunts – who would welcome the opportunity to hone their English skills in an authentic but sympathetic environment. I am really looking forward to chatting with you at English Square! Unbelievable. How disrespectful. That manager was 24/7 on the job trying to build that English place from scratch in a few short months. Presentations and the Japanese Director’s slide shows at the schools were usually scheduled on Kevin’s day off. It’s good to know you have an English program for Huis ten Bosch you can be happy with. I have a large pdf file of one of the programs you hate so much. Kevin sent them out soliciting input and strict critique from his peers in the profession. IMHO, it is pretty spot on material for potential school excursions and possibly the first of its kind in Japan. Perhaps, it is prudent to know what it takes to try to take a retired Japanese salaryman’s dream into reality before you bash a 50 year old ELT professional’s efforts. In other words have a little respect for your elders. 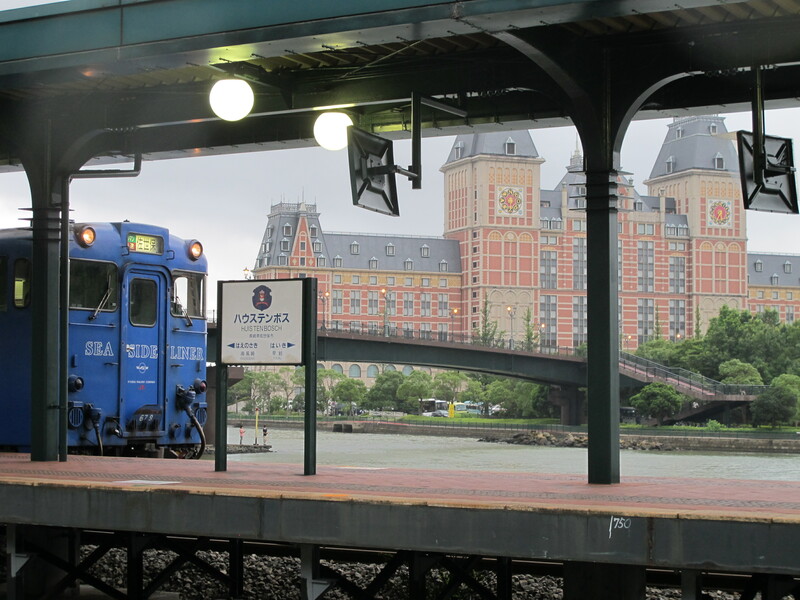 I spend a fair amount of time at Huis ten Bosch. The so called Tomodachi Center has some cool things like the basketball 3 point shot challenges outside and the coffee shop is 100 yen cheaper than the other places. It’s better coffee too. I kind of hate the name change however. Kevin told me how excited the director was when he relaized everyone in the world knows TOMODACHI thanks to the Tohoku Disaster and subsequent OPERATION TOMODACHI assistance. He changed it overnight. Oh well, money is tight. Times are tough if you can make a few extra yen off a disaster, why not? the desk sees your silky black hair, she will converse with you in Japanese. Don’t worry you won’t be trapped in an English Hole. Also, everytime my GF goes into the English Square shop, the Japanese men always speak to her in Japanese. It’s a running joke with us since she is Chinese American. Perhaps Zack if he is following this could tell us if the rumor is true that we cannot walk into English Square like before and have to pay some small admission at the front? 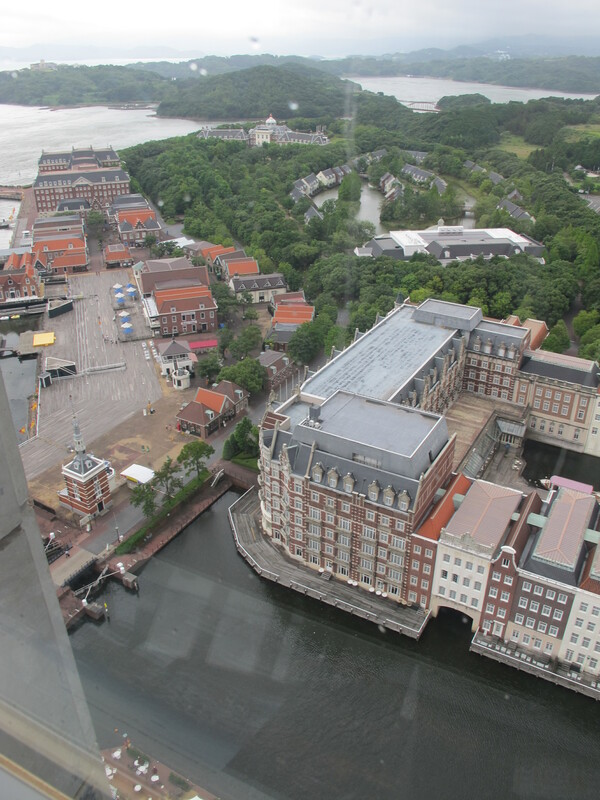 About the hotels at Huis ten Bosch. The ones officially in the boundries of the park are extremely expensive including the Watermark. You might consider the Nikko or the Lorelei as they have good prices. The Lorelei can get you a room for 7700 plus there is a sento on site. You will be expected to pay upwards of 2 man for a room in the park. I wandered into a Watermark Hotel back in the early days (summer 2011) and was greeted by a couple of Japanese staff in English. They were visibly shocked when I answered them in fluent English, and spent the next few minutes avoiding me (for the record, I look Japanese at first glance, even though I am not). However I think that things have changed since then. The staff make-up seems to be partly Japanese and partly foreign, and most of them are comfortably bilingual. I’m really looking forward to staying there this spring! Nikko and Lorelei are really great places to stay, I love them both for various reasons. One thing that bothered me about Lorelei was that they insisted upon seeing my passport, and taking a copy. The other hotels were fine with it. Anyway, I have been in love with HTB since 1997, and my love has not waned since then! Thank you for your info, I really appreciate it. Truth be told, Kevin left English Square before his contract was up , because his program failed miserably and his contract was NOT going to be renewed anyway. His bragging, screaming, swearing, and degrading fellow co-workers was intolerable. 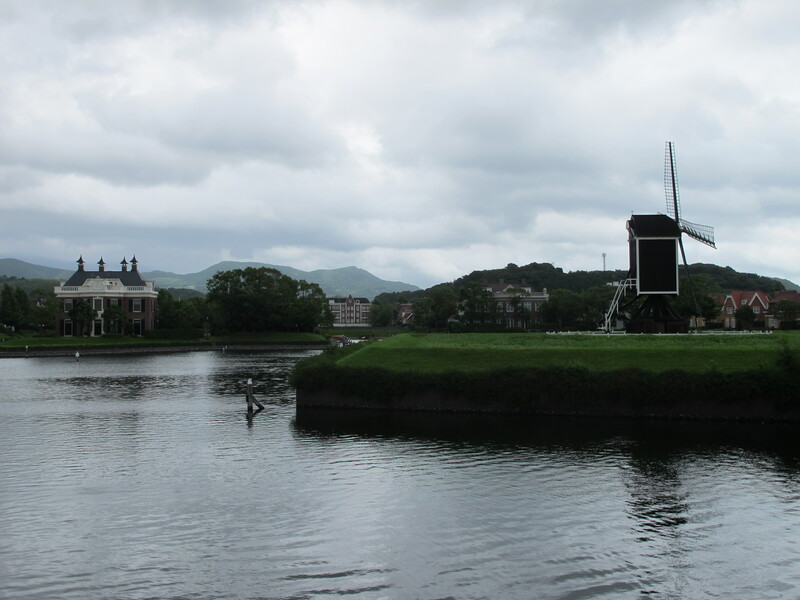 Huis Ten Bosch is a better place without him. As the (putative) moderator in this HtB English Square spat, I confess I *am* enjoying the war of words. Sayre’s Law taken to its nth degree. Well, to be honest I’m enjoying it too … I just never thought it would be over a Kevin. I don’t need to defend my criticism, Laura has my back! Age only deals out what wisdom you gain from your experiences. Experiencing failure ten times and making no adjustments to counter the weakness only leads to future failures. Its true, Tomodachi Factory is now charging an entrance fee to use its facilities, but its a one time charge and it includes all you can drink coffee (soft drinks coming soon) and all day free play. You can even leave and come back later the same day for no extra charge. English Square itself is still part of the free zone, so the hotel and English-speaking restaurant are still free to go into and enjoy (you have to pay for a room or food, respectively). The “gigantic dude” in the suit is a friend of mine, his name is Geoff and he is a swell guy. I hope you weren’t intimidated by his size, he is very friendly and great at his job! I am not the best resource for this information, but I am fairly confident that Watermark requires all of its staff to be fluent in English, or at least have experience working in hospitality in an English-speaking country. I know many of the staff there and I have yet to meet one that can’t speak English at all (save for maybe the housekeeping staff, but they are all so cheerful and sweet so I’ll let it slide). Gaga4Saga makes a good point that the Japanese staff does typecast because most of their customers are in fact Japanese who have no real interest or ability in speaking English. I myself will often greet people coming into my shop with both English and Japanese, just to make sure everyone feels comfortable as they walk in. It comes from the desire to avoid those timid blank stares from people who really freeze up when they think they need to speak a language they aren’t totally confident with. We aren’t trying to stereotype, just trying to give the best experience for people who take the time to visit our business. Thanks Miko, I write for personal enjoyment mostly, but I do blog occasionally. I’ve been too busy lately to post much, but I have been working on some big projects to put up as soon as I can. I’ll link it in the details. Hello and it has been a long time. I find it extremely regrettable and grossly misplaced that some former coworkers have made attempts to seriously disparage my competentcy and character. The most unique thing about the internet is the permenant natutre of stored information and comment. With this always in my mind, I try to be prudent what I post under my real name. It may dissapoint some readers, but I will not respond by publically attacking Zack Lorenzen or Laura Canup in retaliation. Although I do not approve of what I think is poor judgement in 2011 or 2012, years later they may grow to be kindly and highly respected senior citizens. I would feel a lot of remorse if someday their children and grandchildren read vile or embarrassing information written by me. But fear not fellow readers, some of Mr. Lorenzen’s and Ms. Canup’s statements need a challenge or clarification as they are now publicized. Incidentally, my son who is also pursing his career in Japan has the unfortunate coincidence of carrying the same name as I. So, let’s be a little careful, IMHO. I too have kept a blog, One, I author and interact on using a psuedonym due to sensitive nature of the topics and one just for my eyes only for now I just call a journal so that I may look back and learn a lot from the rare opportunity I had being the first person hired in a start up project in 2010. There have been many successes, changes, failures and refinements. This is typical of taking a retired Japanese salaryman’s vision, mapping a strategy and bringing a project to reality. Everyone shares in the triumph of victory and the agony of defeat. Personal pronouns of I and YOU are not applicable in development of a project on a team level. 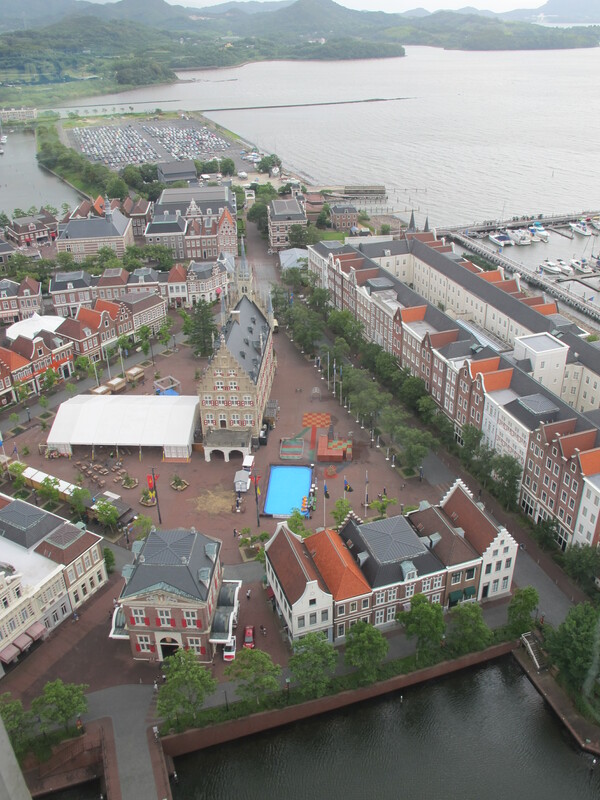 Gyroscorp, LTD which was to develop the English Town, later renamed English Square is just a very tiny part of Huis ten Bosch. The original article was quite fascinating. There is still a lot of interesting information I learned by observing the park from the inside for a nearly a year. The most intriging character in the park is Mr. Hideo Sawada who is president of both HIS travel and Huis ten Bosch. It was amazing to see his competely hands on approach to bringing the park into the black. He is no typical CEO riding in the back seat of a car. Instead, you will see him casually dressed on a bicycle or maybe even a Segway. If he sees some wilting flowers, trash out of place or a blown down sign, he will likely take care of it himself rather than whip a cell phone out and order someone down. He is extremely cordial and approachable to both staff and park visitors. However, he is very much on his game. For example, some things in the park were offered free of charge like the baby strollers. Once the traffic pattern was acheived, the 300 yenrental fee returned. Yearly passes were about half the cost last year. In April, the old pricing returned once it was safe to do so. He studied his demographics well. 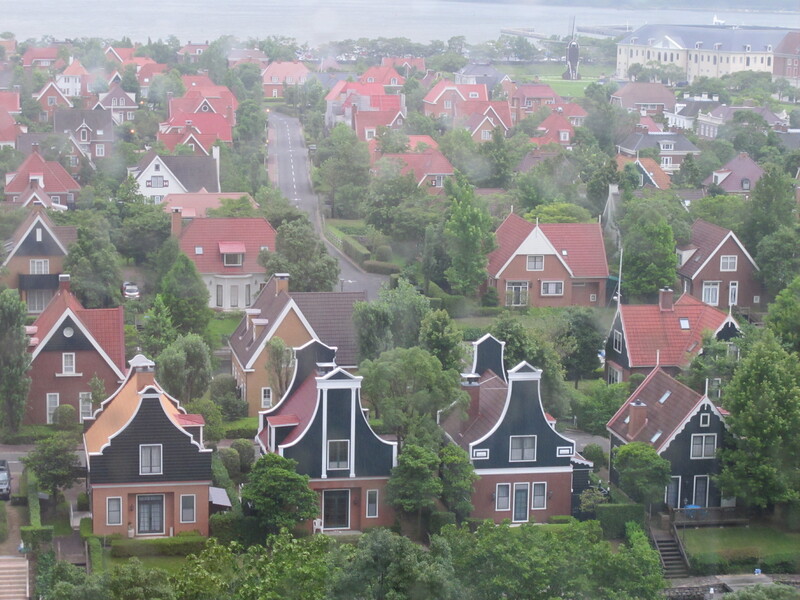 For years, Huis ten Bosch had two segments of the population covered. There were Gram and Gramps with the flower festivals and young single couples who found the park to be a romantic destination. Now, he has added a huge ferris wheel and the One Piece animation attractions to get the school age kids coming back and as a necessary byproduct their thirty, forty something parents. I think its great to sell 4 or 5 passes instead of just 2. The ferry boat from other Asian countries with liberal entry formalities has also been in the news. I met many Chinese and Korean visitors who visited English Square. But quite frankly, their English is too darn good to take advantage of what was offerred. Japan has a ways to go on their speaking abilities. Finally, a lot has been said about the Free Zone. The Free Zone is actually a recent change, maybe 2010. It would be unwise for a tenant shop or attraction to base their future on the no admission system of the South Gate. If Mr. Sawada follows his pattern he did with the other free and reduced pricing programs, it seems reasonable that once the population is optimal, the entire park would be a paid zone. Not a fact, but within the realm of possibility. it became more and more clear that he was not well suited for his position. and I. Of course, Zack, Juju, Jordan and Maiko have always been good as well. I have not worked at Huis ten Bosch for more than 4 months so I am now just a regular annual pass holder and a satisfied customer of Rock and Roll Brats. It might be a good idea not to make people feel they need to avoid that place. That would be sad as I consider the Healy family to be friends. at least a dozen major universities in Kyushu and is a close personal friend of the “official Director of Education” at English Square. Just to top it off, he and his wife were going to open a blues cafe where the sno cone shop is now before practicality won out. Finally, the infamous Kevin himself. Many people who I planted seeds with unaware that i left Huis ten Bosch inquire with me. I say well actually I left there in the fall then I still speak highly of the project and give them all the telephone numbers numbers and email contacts they need at ES. On October 15, 2011 I became a former employee and left as a friend and supporter of the Square. So, lets not explode too many bridges just yet, IMHO. Lies, lies, lies……..well, wait a minute. Maybe not all lies. Maybe she is telling some truth there….. Interesting that she should even use the word contract. When she was brought in she adamantly refused to sign any contract/confidentiality agreement which saved me from trying to draft or edit one for her. She may be the only person there that has none. My contract expiration date was November 25. I left on October 15. Great. One point for Laura. The president who really counts in this knew from the summer I would not be on for a 2nd year. I left exactly 5 weeks before my expiration date. I left of the accounting closing period and in conjunction with new employment. I drove out of HTB at 11AM and that evening was working in Fukuoka. Despite the “workplace mobbing” atmosphere and the poor working relationship Laura and I both shared, my departure on that date had little to do with HTB. I returned to Fukuoka for 5 reasons, 1 Because a relative is battling stage 4 bile duct cancer and has been a major caretaker for my young children in my absence. 2 because although I am not a young man I do have young children and they need me now. 3 I have some health issues myself and the immediate change was necessary. 4 I secured replacement employment and a set starting date. 5 I could not afford the cost of maintaing a second apartment and could no longer oblige my wife to subsidize my adventure away from home. Is short, as excited as I felt to meet fine people like Laura on a daily basis, my family comes first always has always will. 4 months is ample time for getting something you all like and are comfortable with. And yes, your organization still uses Jr Seed which I am proud to have been part of developing. Notice, it is a team effort not I made it. I did it. I was a part is how I want to say. I dont get his program. Refine it, trash it, make from scratch. The ball is your court. I feel sorry that I wasnt there to train people how to effectively use the programs. Hmm.. true or false. Well lets go with true for the sake of discussion. Gyroscorp is not equipped to employ Japanese and permenant residents on a legit full time basis because of the prohibitive cost of mandatory Shakai Hoken contributions. For example, a British man from out in the town who wants a job there cannot unless its done breaking Japanese rules. It is no accident that the Japanese staff are military spouses who are under the DOD for their insurance. The other Japanese is a full time employee of HTB on loan to Gyroscorp. I was on an independent subcontractor contract and my payroll and tax contribuations are against my English school and combined. That they can get away with at first but then they are illegal. I brought this to their attention early. HIS BRAGGING, SCREAMING, SWEARING AND DEGRADING WAS INTOLERABLE. Ill have to brag at the end of of this but Ill post a warning first. Dont remember screaming so I have nothing to add. Swearing. Well that is not something I do often as I consider myself a highly flawed yet practicing Christian. Gutter language has no place in the workplace and I dont remember much of it taking place. Americans I know will scream and swear right back at you. My friend who brought this post to my attention summed it up interestingly enough. “man if that aint som eFFed up S–t. You better get on there fix that BS, now Kevin.” On degrading coworkers, dont know some of them in my opinion degraded themselves but exposing a lot of cleavage on the job front and back. But honestly, who it the target of degradation over the past few days. Whoa, hold on there, pardner…English Square is but a tiny part of that beautiful park. I dont think you ought to be laying claim there. I am an annual pass holder. I doubt my family will be using your attraction considering. Would you like us to kindly speed up the pace of our walking when we head to the Thousand Sunny Ship? I dont expect the Enclish Square discount on my bratwurst anymoremore at R and R. Would Mr Intern Cafe Manager prefer we dine elsewhere when at HTB? OK…BRAGGING TIME FOR ME…STOP READING HERE IF YOU CANNOT STOMACH BRAGGING. Since returning to Fukuoka, my ill MIL is still on her feet cooking cleaning and in control of her own house. We thought she would have been dead by Christmas. Since returning my special needs daughter with my daily support has missed zero days of school. She had a 50 percent record while I was away. Since returning I have doubled my enrollements in my family’s Engilsh school. I am also working two non-teaching jobs in food and having a blast. I would say that not only am I back in the saddle, I need a new horse. I have no regrets of my time in Huis ten Bosch, new friends made and a fair number of good memories. I say Godspeed. Do what it takes to make it work. Kevin, o-tsukaresama deshita (thanks for giving it your best shot at HTB). I hope that all is well with you and yours. Please stay well. I wish only good things for you. Secondly, if “bragging, screaming, swearing and degrading” are regarded as bad things in the workplace, then I am in deep trouble. I do that stuff all the time, in fact my boss gets nervous if I don’t. Thirdly, I really appreciate The Spike for allowing this ugly (well, relative is everything, I’m sure he’s seen worse) public spat to take place on his turf. Truth be told, I haven’t had this much fun in years. Finally: I have booked a room at the Watermark Hotel (which will always be the Den Haag to me!) for the end of this month. I’m going to stay for five days. I am so excited! Apparently it’s a loft room with a view. Quite a few of my mature students have expressed an interest in staying at the Watermark, but they are waiting for me to do it first. You’d be amazed at the number of baby-boomers – rich in time and money – who would love a chance to practice their (admittedly quite limited) English in Japan first, before getting to use it overseas on their frequent sightseeing trips. You’d also be amazed at the number of Honshu folk (that’s “mainlanders” to you) who are giving backwater Kyushu another glance as a travel destination. For obvious reasons, many of them are avoiding the north these days. I think Kyushu would do well to continue pushing its image as safe, clean, green, and yet open to foreign cultures (Nagasaki et al). HTB has a big heads-up in this respect. Anyway, in the near future I shall open a blog to give a full and frank account of my experiences there. I hope you enjoy reading it. The rooms at the Watermark are absolutely beautiful. The best one would be on the the corner of the building that has windows facing both the park and another set facing the bay. There are only 3 or 4 rooms that have that perfect spot. I personally like looking out at the park since the bay is pretty quiet and I see all there is to see on the water in just a moment. Getting a good view of the park is great as you wont run out of things to see. Im going to Huis ten Bosch on April 4. This will be my first time to try out the new Maze attraction. The ferris wheel opened at the same time I left so I never got see that. As many people predicted, the English attraction tomodachi thing imploded last year as I understand as far its venue in Huis ten Bosch. It still exists but in downtown Sasebo. I have to give them credit for surviving a lot longer than I expected. I have my theories and could see a fair number of bridges were burned, a lack of a feasiable sustianable income model, lack of trained experienced personnel, risk to investors were to high, lack of effective team building and internal trust, lack of complete loyalty to the organization, lack of understanding Japanese customer preferences and communicating with the general public. Its not like they can blame me. It fell to peices almost a year after I left! “Dykes” is a derogatory term for lesbians. I visited the place myself and it’s fascinating to read about your detailed piece of Huis Ten Bosch!